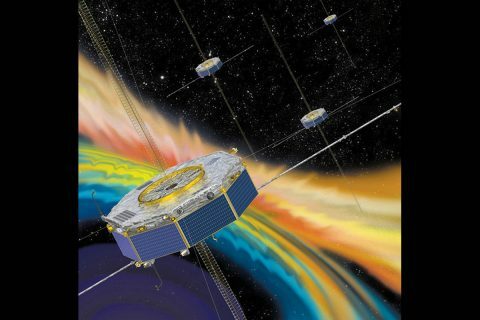 Greenbelt, MD – The four Magnetospheric Multiscale (MMS) spacecraft recently broke the world record for navigating with GPS signals farther from Earth than ever before. 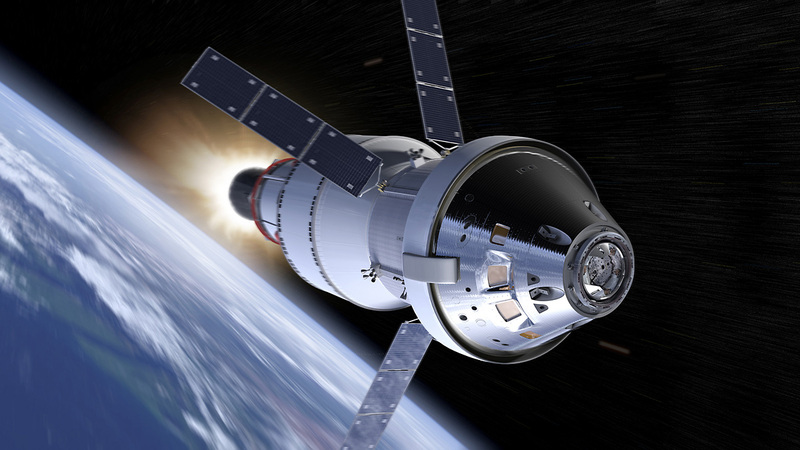 MMS’ success indicates that NASA spacecraft may soon be able to navigate via GPS as far away as the Moon, which will prove important to the Gateway, a planned space station in lunar orbit. After navigation maneuvers conducted this February, MMS now reaches over 116,300 miles from Earth at the highest point of its orbit, or about halfway to the Moon. 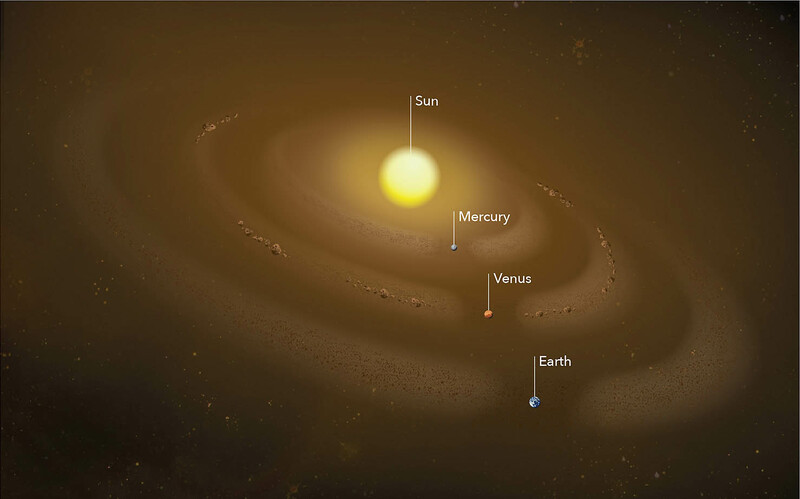 Greenbelt, MD – A new study reveals asteroid impacts on ancient Mars could have produced key ingredients for life if the Martian atmosphere was rich in hydrogen. 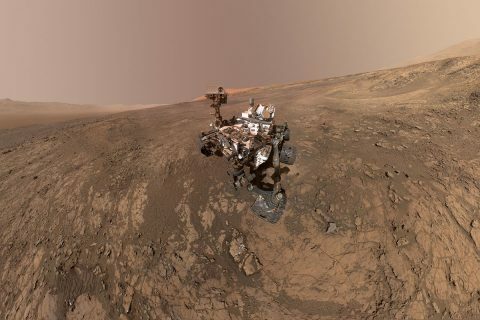 An early hydrogen-rich atmosphere on Mars could also explain how the planet remained habitable after its atmosphere thinned. The study used data from NASA’s Curiosity rover on Mars and was conducted by researchers on Curiosity’s Sample Analysis at Mars (SAM) instrument team and international colleagues. 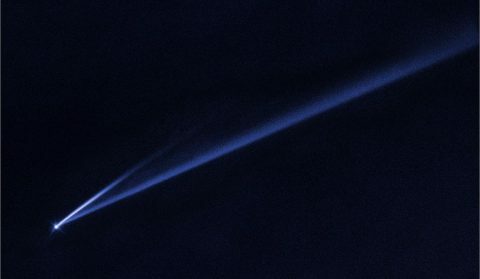 Pasadena, CA – On December 18th, 2018, a large “fireball” – the term used for exceptionally bright meteors that are visible over a wide area – exploded about 16 miles (26 kilometers) above the Bering Sea. 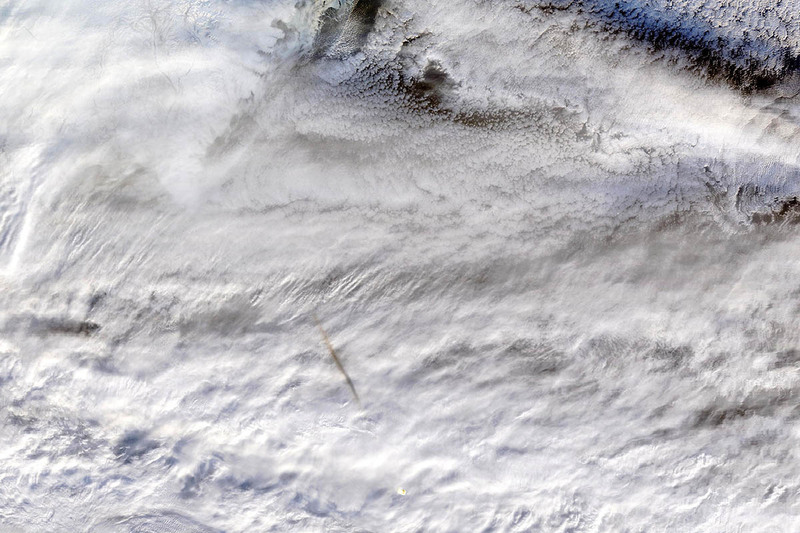 Two NASA instruments aboard the Terra satellite captured images of the remnants of the large meteor. 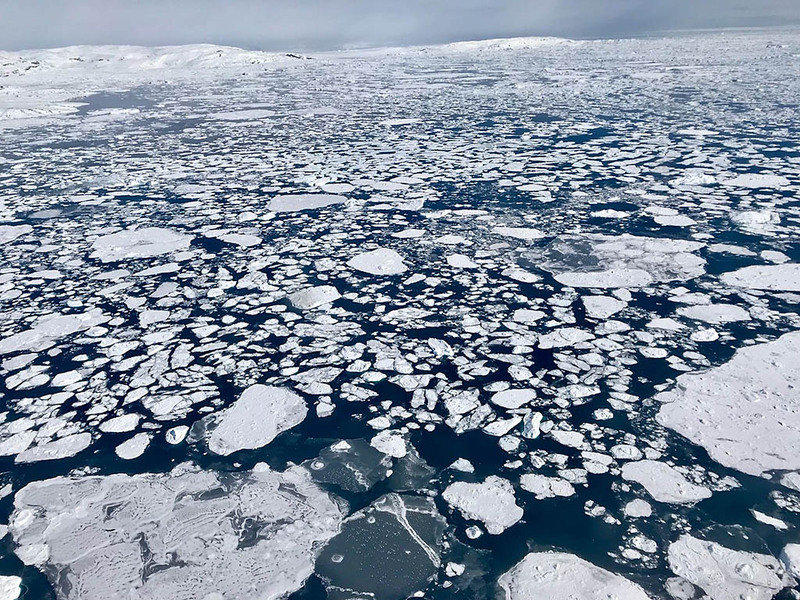 Washington, D.C. – Sea ice in the Arctic appears to have hit its annual maximum extent after growing through the fall and winter. The 2019 wintertime extent reached on March 13th ties with 2007’s as the 7th smallest extent of winter sea ice in the satellite record, according to scientists at the NASA-supported National Snow and Ice Data Center and NASA. 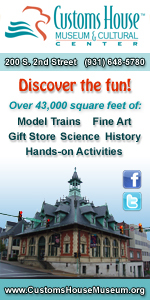 This year’s maximum extent peaked at 5.71 million square miles (14.78 million square kilometers) and is 332,000 square miles (860,000 square kilometers) below the 1981 to 2010 average maximum – equivalent to missing an area of ice larger than the state of Texas. 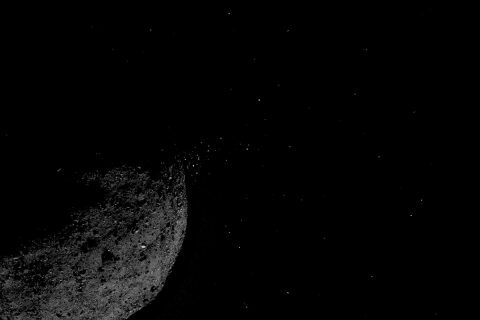 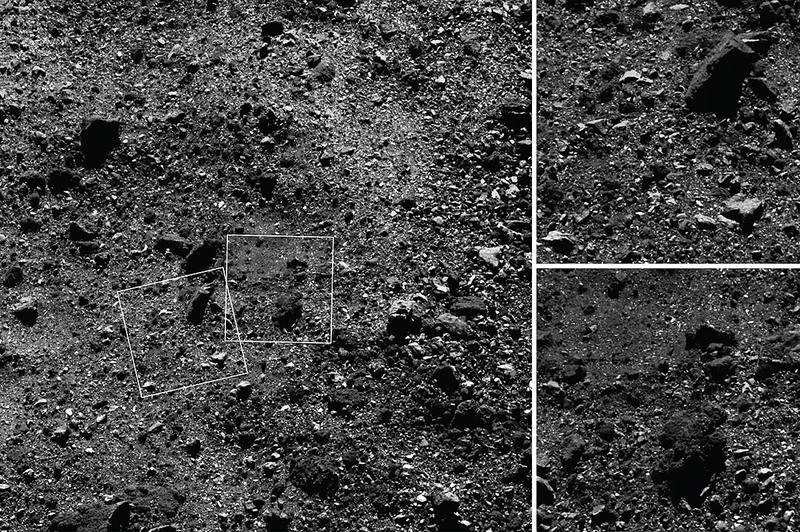 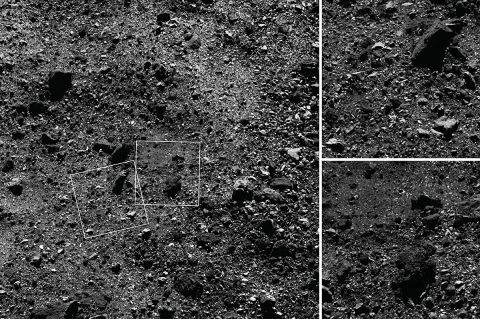 Greenbelt, MD – This trio of images acquired by NASA’s OSIRIS-REx spacecraft shows a wide shot and two close-ups of a region in asteroid Bennu’s northern hemisphere. Greenbelt, MD – NASA scientists, engineers, and technologists are preparing for a new era of human exploration at the Moon, which includes a new launch system, capsule, and lunar-orbiting outpost that will serve as the jumping-off point for human spaceflight deeper into the Solar System. 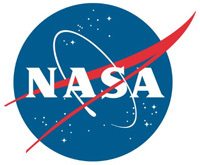 NASA’s Goddard Space Flight Center in Greenbelt, Maryland, is playing a vital role in these initiatives, particularly in the areas of communications and instrument development as evidenced by the recent award of five proposals under NASA’s Development and Advancement of Lunar Instrumentation (DALI) to advance spacecraft-based instrument for use in lunar-landing missions. 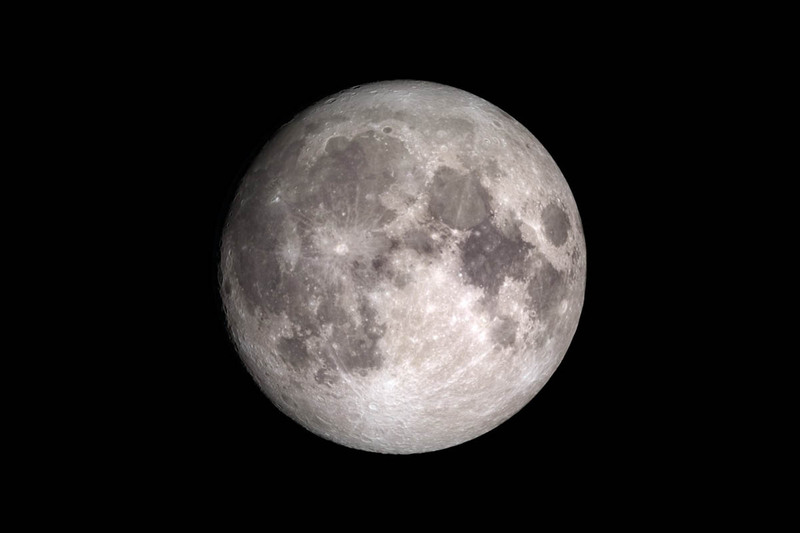 The technologies needed for sustainable exploration at the Moon will have to be powerful, multipurpose, and fast, said Jake Bleacher, Chief Scientist for the Human Exploration and Operations Mission Directorate.